The steep, smaller Nubian pyramids differ significantly from their Egyptian counterparts. 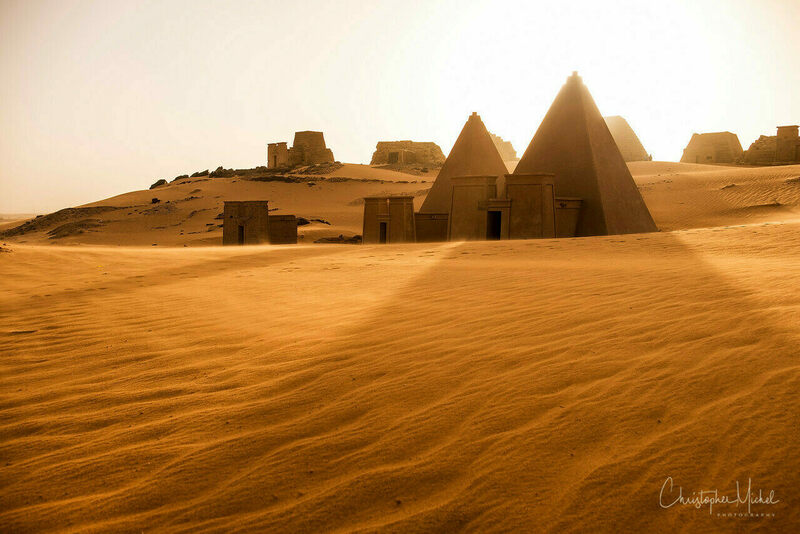 Workers are constantly digging sand from around the pyramids to keep the desert at bay. A few of pyramids look new because they have been reconstructed. Nomadic life at a well. Sudan’s color palette: blue and orange. Local villagers are offer camel rides for the right price. A close look at the differences between the reconstructed and original pyramids. Red sandstorms blend sky and land.